The Voyage of Doctor Dolittle—the major motion picture starring Robert Downey Jr.—soars into theaters on April 12, 2019! 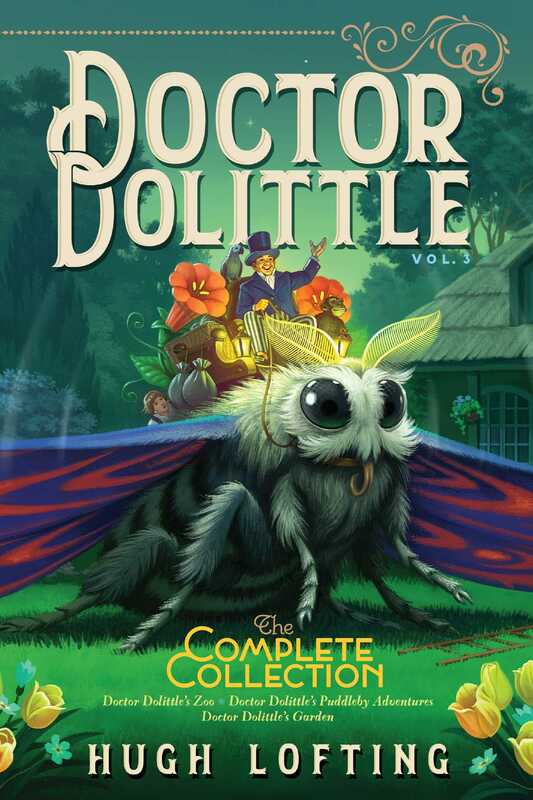 Discover the world of Doctor Dolittle with three novels from the beloved children’s series! In Doctor Dolittle’s Zoo, Doctor Dolittle returns from his voyages and sets his house in order. This includes expanding his zoo to include a home for crossbred dogs and a club for rodents. The doctor also takes time to solve a mystery with the aid of Kling, the Dog Detective. Doctor Dolittle’s Puddleby Adventures contains eight stories about Doctor Dolittle including the tale of Dapple the Dalmatian and the problems caused when his spots matched a rich woman’s polka-dot gown; the career of the Dog Ambulance, which Gub Gub the Pig almost ended; and the mystery of the Stunned Man, solved by Kling, the Dog Detective. And in Doctor Dolittle’s Garden, Doctor Dolittle’s assistant, Tommy Stubbins, reports on Professor Quetch, curator of the Dog Museum in the Home for Crossbred Dogs. Meanwhile, the doctor has learned insect languages and hears ancient tales of a giant race of insects. Fascinated, the doctor plans a voyage to find them—but before he does so, one arrives in his garden! Hugh Lofting (January 1886–September 1947) was a British author who created the beloved and timeless character of Doctor Dolittle. His stories have inspired several major motion pictures over the last sixty years, and many household names—including Rex Harrison, Eddie Murphy, and Robert Downey Jr.—have taken on the titular role. He is also the author of several other books for children.